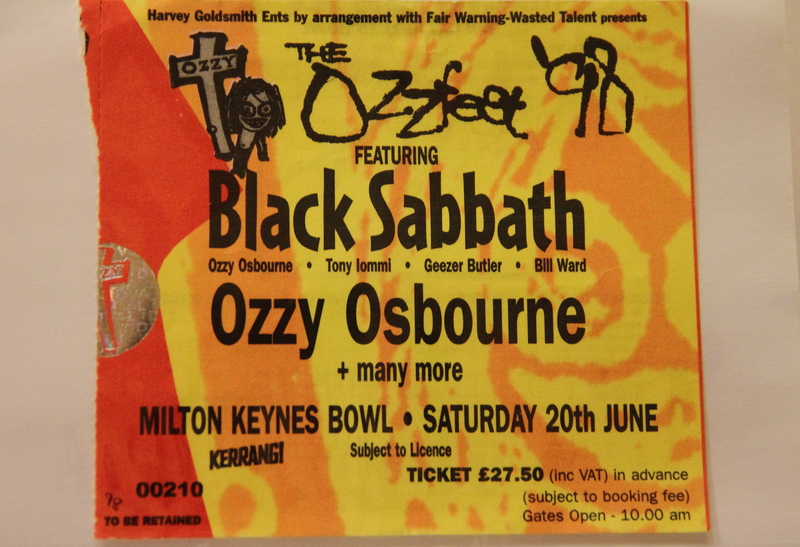 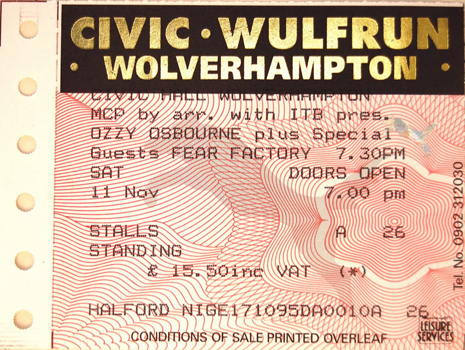 Ozzfest ticket from Milton Keynes Bowl, Saturday 20th June. 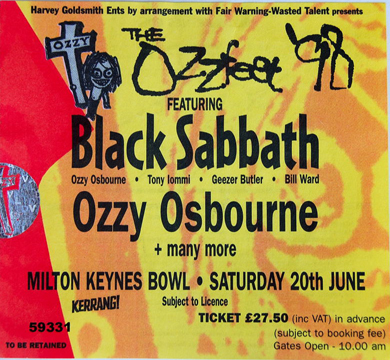 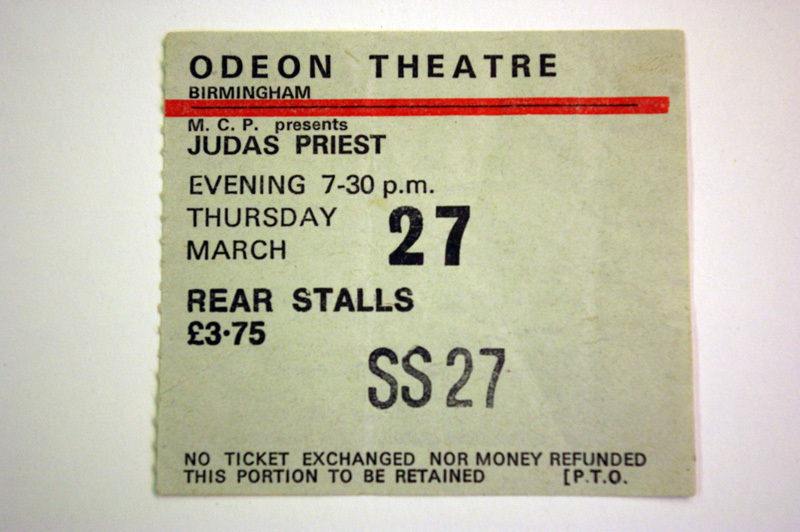 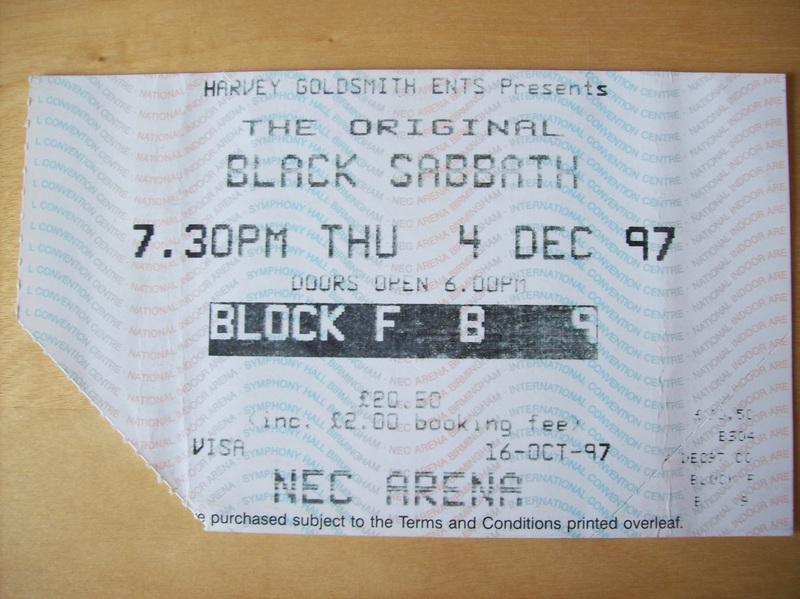 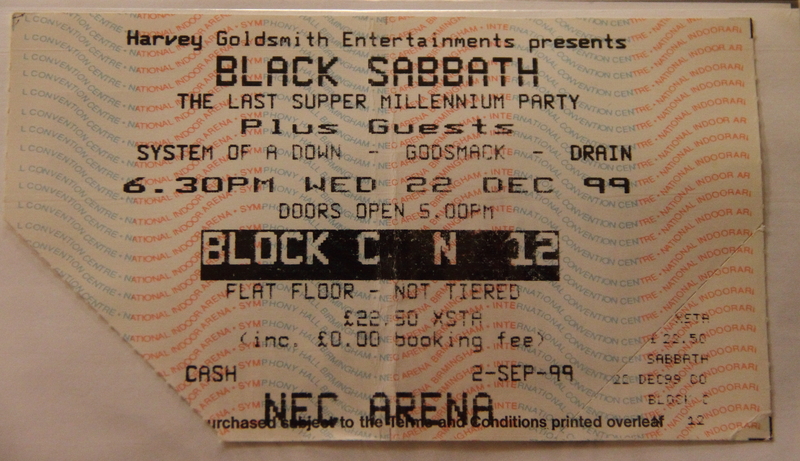 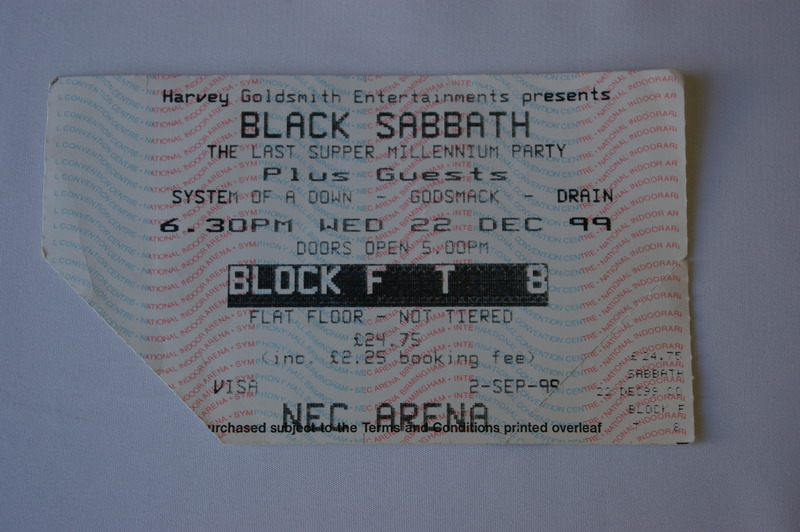 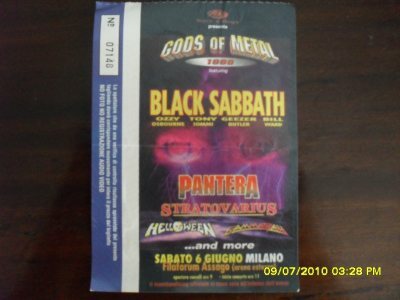 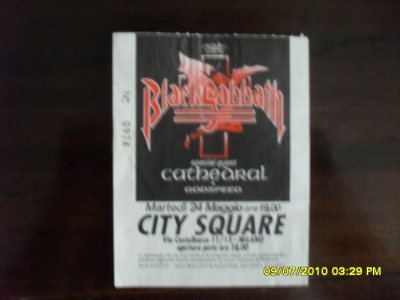 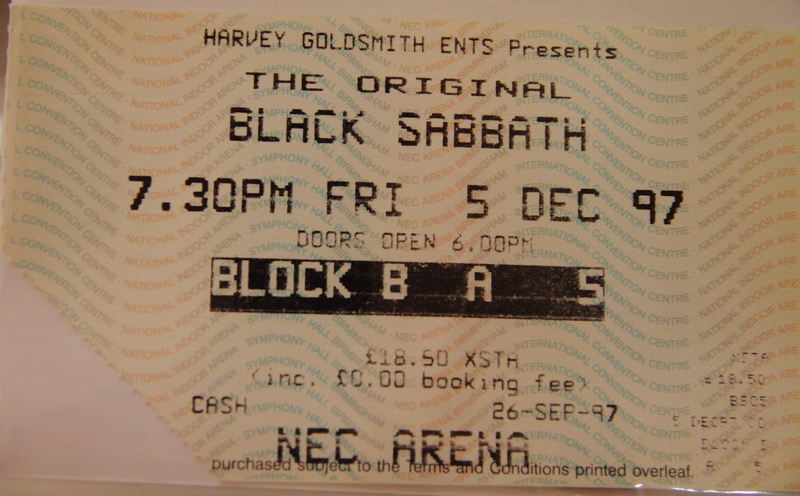 The line up featured both the band Black Sabbath and Ozzy Osbourne as a solo artist. 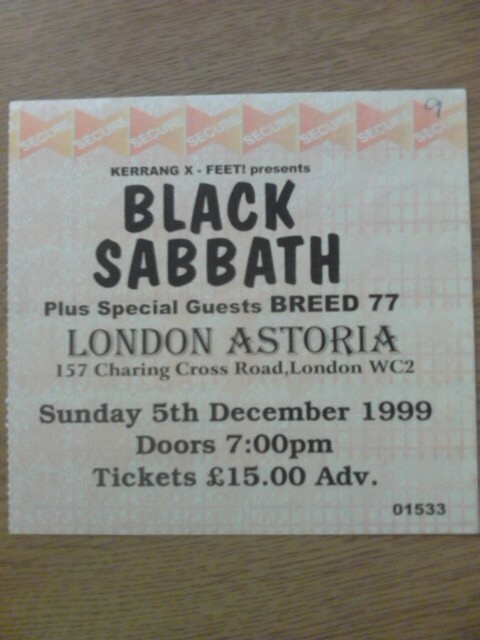 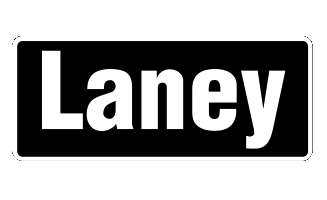 Also performing that day, amongst others, were Foo Fighters, Soulfly, Pantera, Slayer, Fear Factory and Therapy.